It has been three years that we participate in software skills training for BBS students. It is very important for our company to offer career opportunity to highly qualified people having practical knowledge. We pay great attention to offering still before graduation university students a possibility for gathering experience that later in practice can be leveraged. 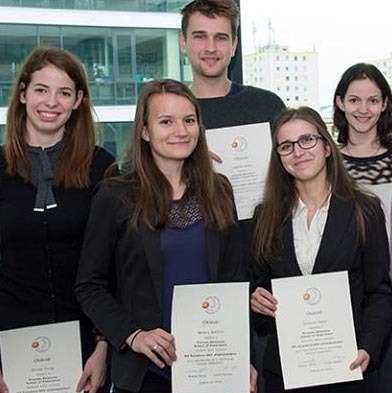 Recently we guested the students of the Budapest Business School in our office. They obtained experiences that they could not do from university lecture slides. Last but not least they could meet people working with us and have an insight into the daily tasks performed for two of our large customers. 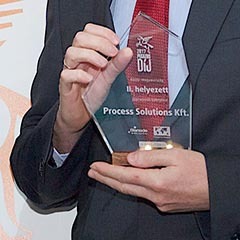 Dóra Kis is the new HR director at Process Solutions. 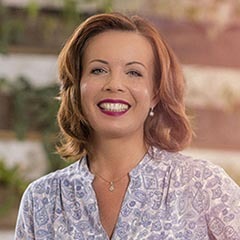 She has more than 20 years of experience in the field of HR and has worked for several multinational companies as well as for local SMEs in different business segments. 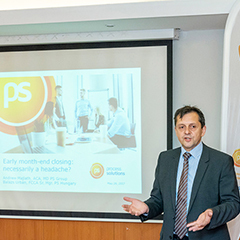 PS invited to present and facilitate an interactive session on the topic of „Early month-end closing – necessarily a headache?” in both Bratislava and Budapest at ACCA members’ ‘Business Breakfast’ events.